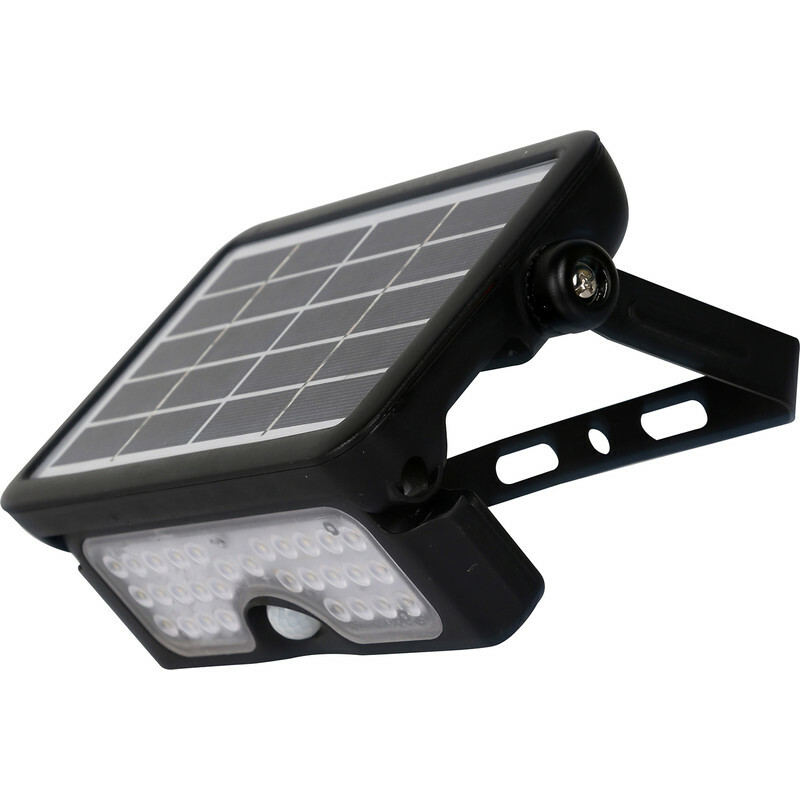 Luceco 5W Solar Guardian PIR Floodlight IP65 Black 550lm is rated 5.0 out of 5 by 2. Rated 5 out of 5 by Staphylea from quick and easy solution for need for outside light Easily fitted and happy with results. PIR works nicely and the panel and light tilt vertically to adjust. Lamp does get direct sunlight, which was the main reason I thought solar was the way to go. Light level good for partially sighted person.